On today’s show, I review 10 Canadian personal finance books that would make great gifts and/or would be a great start to your own personal finance library. All 10 books are listed below, with the time stamp from the podcast, if you wish to jump ahead and listen to my comments on a particular book. Of course, I am also quite proud of my own book, Straight Talk on Your Money, which I discuss briefly at the end of the show.The first five books on the list are great for all age groups. Books #6 and #9 are particularly good for either seniors or adult children of seniors, and book #10 is great for anyone who wants to take a “deep dive” into how our brains work. What books should I give as gifts this year? And yes, of course, I think everyone should buy dozens of copies of my book and give them to everyone you know, but there are lots of other great books, so if I was starting a personal finance library, or if I wanted to give books to my adult children, or my co-workers, to help them better manage their money, where would I start? That’s the question I’ll answer on this edition of Debt Free in 30. Today I present a list of 10 personal finance books that you should read, or give as gifts. Here’s how I compiled the list: I picked books that I have read, so there may be lots of better books that I haven’t read, but since I haven’t read them, they aren’t on my list. Next, all but one of the books on the list are by Canadian authors, and are written for Canadians. There are lots of great American books, but I want to read about Canadian topics, like RRSPs, not American concepts like 401Ks. The one American book on this list is not strictly a money book; it’s a thinking book, so the fact that it’s not a Canadian book doesn’t matter. I also picked books that are readily available. I checked, and they are all available at Amazon.ca, and most are easy to find in libraries and your local bookstore. And yes, I will admit that I made up these categories, but these categories allow you to focus on books that meet your interests. That’s why this is not really a top 10 list. There are lots of other books that perhaps you should read. I have two real estate-themed books on this list. If you are really interested in real estate, there are lots of other good books on that subject, so your list of important books will be different. With that background, let’s get started with the first six books on the list, all from the category of General Money Management. 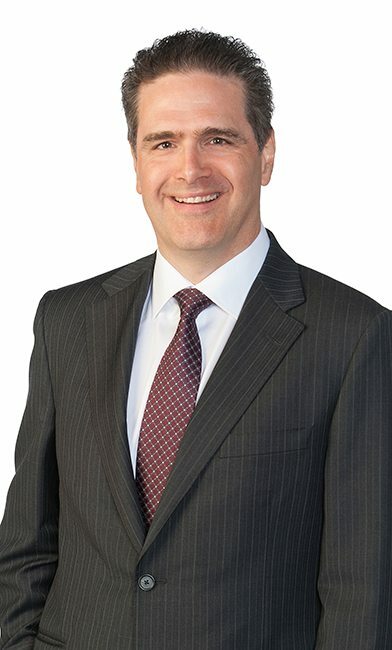 First, I would start with one of the best selling Canadian personal finance book of all time, The Wealthy Barber Returns by David Chilton, which is a follow up to his first book, The Wealthy Barber, which was also a best seller. I’ve put The Wealthy Barber Returns and not the original book The Wealthy Barber on the list because the original one is much harder to find, and it’s expensive if you can find it, but, as I record this, The Wealthy Barber Returns is selling for about $10, brand new, on Amazon, so it’s a great value. I like this book because it’s easy to read. The chapters are short, there is a minimum of technical jargon, and he uses a story telling format, so it’s like reading a story, and not at all like reading a textbook. Book number 2: If you like the narrative format, a more recent book is Wealthing Like Rabbits by Robert Brown. Now full disclosure: while I’ve only exchanged voice mail messages with David Chilton, I’ve actually met Robert Brown, and I like him, so that may cloud my judgement, but I don’t think so, because I read his book before I met him. The first time we met was back in 2014, when he was a guest here on Debt Free in 30. Here’s what Robert Brown told me when I asked him to explain the title of the book, since I had never heard of the word wealthing, because, as I said to Mr. Brown, I don’t think the word “wealthing” exists. Doug Hoyes: Because rabbits multiply very, very fast. And if you want to read the book you’ve got some examples of how that actually works. So, “wealthing” for you is more than just saving then. So you can see why I’m such a big fan of Wealthing Like Rabbits. Robert tells a story, so it’s easy to understand, but his philosophy is very closely aligned to my own thought process. In the example he just told about Mario and Luigi he illustrates the perils of buying too big a house, a theme I also discuss in my book. Wealthing Like Rabbits has lots of great advice, so it’s definitely on my reading list. When it comes to money management, there are only two ways “increase your bottom line”, or have more money left over at the end of the month; you either have to increase your income, or reduce your expenses. There are lots of books out there about how to find a better job, but on the “how to save money” side of the equation there is one book that is easy to read and is packed with lots of practical tips, and that book is 397 Ways to Save Money by Kerry K. Taylor. That’s Kerry for you; she doesn’t tell you how to save $3,000; it’s the more precise $2,940 that she uses, and it’s the same in her book; she didn’t want to water-down her advice by giving you 400 ways to save money if the last three weren’t very good, so she stops at 397. She gives advice on things like saving money on homeowner’s insurance, and gives more esoteric advice, like brushing your dog’s teeth to save on vet bills. I don’t have a dog, so I’ll have to take her word for it on that one. Most of her advice is easily implementable by anyone; you don’t need any special skills to follow her advice to save money. Here’s the best part: 397 Ways to Save Money is available now on Indigo.ca and Amazon.ca for less than 10 bucks. That’s a great deal. Follow one of Kerry’s 397 tips and you’ve got your money back. Next on the list is another well known Canadian author, and that’s Preet Banerjee with his book Stop Over-Thinking Your Money: The Five Simple Rules of Financial Success. What makes this book so good, other than the fact that it’s written by a Canadian, for Canadians? I won’t tell you Preet’s five rules (you will have to get the book to read them), but I will tell you that rule #3 deals with debt, and I agree with what he says (and his advice is similar to the advice I give in Myth #8 in my book). Again, this is an easy book to read, you don’t need to know any technical jargon, and it’s available online and in bookstores everywhere. I just read Gail Vaz-Oxlade’s endorsement from Preet Banerjee’s book, and no list of Canadian personal finance books would be complete without a book written by Gail. 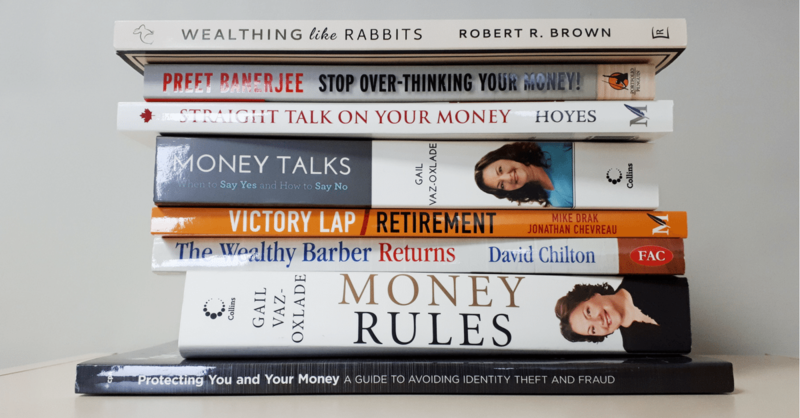 Next to David Chilton, the next best selling Canadian personal finance author is Gail Vaz-Oxlade, who has also been a guest a few times on this show. I could fill up the entire top ten list with her books, but if I had to pick just one, it would be Debt-Free Forever, because, you know, I like being debt free, so that’s my pick for number 5 on our list. It’s a great book to give as a gift, particularly if you know someone who is struggling with debt. Those of you who have watched Gail’s TV shows, like Till Debt Do Us Part, will know that she advocates a “tough love” approach. Perhaps a better way to say it would be that she believes in discipline. She wants you to take charge of your life, and she knows it not easy, but again, she’s got lots of practical advice to help you become debt free. Her latest book is Money Talks: When To Say Yes and How to Say No, which is a book that walks you through how to talk about money with family and friends. It’s also a great book. Gail also co-wrote a book with Victoria Ryce, published last year, called CEO of Everything, which is a great book if you find yourself suddenly single. Victoria was a guest twice on this show, so I’ll put links in the show notes to those interviews. See my point? I could pick lots of Gail’s books to include on this list, but since I’ve limited myself to one book per author, I picked Debt Free Forever. Of course you are not limited to one book per author, so if you are a Gail fan, pick as many as you like. The final book in the General Money Management category is written by another Canadian author who, like Gail, is often seen on TV and who has also written many books, and that’s Kelley Keehn. Those are all good books, but my favourite is a book she wrote that you can’t buy on Amazon, and I don’t think it’s in bookstores. The book is Protecting You and Your Money: A guide to Avoiding Identity Theft and Fraud, and it’s a book she wrote for the Chattered Professional Accountants of Canada, and it’s available on the CPA website; I’ll put links in the show notes. I’ve got this book on my must-read list because it’s the only book that deals specifically with identity theft and fraud, which are very serious problems for all Canadians, but particularly for seniors. Kelley Keehn: There’s so many things that we can do. Number one we really want to slow down. We want to be careful when we’re clicking email. We want to be careful when we’re picking up the phone. Do we even need to pick up the phone? And these tips we need to have conversations with our parents and our kids as well, not that they’re picking up a home phone. They don’t do that. Doug Hoyes: No, they don’t know what it is, no clue. Kelley Keehn: But I know my mom still does. And just is this reasonable because the phone spoofing is really good. They can actually make it sound like the Toronto Police calling you. So, just slowing down, is this logical, would my bank ask me any of this? Being more careful of what we’re putting online, have a family conversation about it. Realize how important our information is, stop giving it out. And then when it comes to full on identify theft, the easiest thing you can do is just check your credit report. If someone is applying for a credit card, a loan, something of that in your name, it will show up on both of your credit bureaus. So, in Canada there’s two main credit reporting agencies, Equifax and TransUnion. Make sure if you go online you go to the .ca’s and you would see there that somebody applied for this XYZ Financial or something, you’re like that’s not me. Now that will tip you off that identify theft is happening. Now it might be too late to really ward that off but at least you can clean it up. Doug Hoyes: So, would you be doing that once a year, more frequently? Kelley Keehn: If you’re in a low risk situation you don’t really do a lot, you don’t use your – you know, I would say once a year is fine. What you can is also get a credit monitoring service. You have to pay for that. But maybe if you were a high risk person like me that goes online all the time. Doug Hoyes: Travels a lot. Kelley Keehn: Has to do Facebook, has to do Twitter for their business, I put myself at risk. You might want identity theft insurance if you also feel that you’re at risk. But what you can do with both credit reporting agencies is put a pro active fraud alert on your account. This is not if you’ve been a victim, you’re just saying hey I want to be pro active, it costs $5 for each credit reporting agency and it lasts six years. And what that does is it’s an extra layer of protection where if someone’s trying to get a cell phone in your name or something like that, the lender has to give you a call. It says on the file give a call so you want to use your cell phone number. ‘Cause if it’s you legitimately trying to get a bank loan you don’t want them calling home to authenticate that it’s you. So, that’s a great extra layer of protection. And everyone should be checking their report at least once a year to see if things are accurate even if you don’t require credit, at least to see if some things on there. And then very lastly is making sure you know what mail is coming in, not very lastly I’m going to have one more tip, make sure you know what mail is coming in and when, especially for older people, people that vacation a lot, business people, they really need to be concerned about that. Because if bills are going missing that could be a first red flag too, that mail is being diverted. And so, you could say a lot of younger listeners will say well, I’ve done everything digitally I’m online with all my bills, that’s great, my personal finance hat comes on saying make sure you’re checking those bills that you’re not overcharged and all that type of stuff. ‘Cause when we don’t get it in the mail, sometimes we forget to comb through and like you said look for those little purchases, a couple of dollars here, a couple of dollars there that weren’t you ’cause if you’re not noticing that, the fraudsters will go for the big kill. And then very lastly shred absolutely everything. Everything, everything, even if it came in – unless it says Dear Occupant, if it has your name on it, shred it. That’s just a very small sample of Kelley’s advice on protecting yourself from identity theft. I’ll put links to my two interviews with Kelley, but for a lot more practical tips, her book is called Protecting You and Your Money: A guide to Avoiding Identity Theft and Fraud, and it’s a book she wrote for the Chattered Professional Accountants of Canada, and it’s available on the CPA website, and the best part is that it’s available for less than $10 bucks, so it’s a great deal, and I’ll put links in the show notes if you want to purchase a copy or two. So the first six books on my reading list are general money management books, but the next two deal with a topic that everyone seems to be talking about, and that’s real estate. The first one, book number 7 on the list, was released in 2015 and is called “When the Bubble Bursts: Surviving the Canadian Real Estate Crash” by Hilliard Macbeth. Mr. Macbeth is a portfolio manager, and he’s advised clients for almost 40 years. He was a guest back on podcast # 89, and I started by asking him why he thinks Canadian real estate is in a bubble? Hilliard MacBeth: Well, in the research I found that it’s very unusual for house prices to increase at such a rapid rate over such a short period of time. So, people have what’s called the recency bias, where they view the last five or 10 years as the norm. And the problem with that is when you look back longer, 20, 30, 40, 50 years, which is easy to do, there’s lots of data available, you find out this is a very unusual situation. Doug Hoyes: There you go. Well, I suspect the media’s way ahead of us on talking about this. So, you think we’re in a bubble because real estate prices – and I guess we have to clarify a little bit, certainly in places like Toronto and Vancouver, real estate prices are much higher today than they were a year ago, five years ago, 10 years ago. Presumably there are places in the outskirts of the country that have not moved much. So, is this a localized phenomenon? Or is this everywhere in Canada? Hilliard MacBeth: It’s a great question and actually there’s a bit of a myth that’s developed. It actually started during the election campaign last year, it was by a politician that was running for re-election that it was just Toronto and Vancouver, but the reality is different from that. The bubble is widespread throughout Canada. And prices have increased by two and a half to three times, three times in Vancouver and Toronto, and two and a half times. There’s probably some places in Canada where the prices have only gone up two times. But everywhere there has been rapid increases in prices over the last 15 years. And the thing that I want to impress on people is how unusual that is. It’s extremely unusual. And the reason it’s not sustainable is that houses are basically bought out of income so people pay their monthly mortgage payments, their maintenance costs, their interest, their taxes, all that stuff that goes with being a home owner. They pay it out of income. And incomes have maybe risen 15% over the last couple of years, 1% a year depending on whether you take after tax or pre-tax, it doesn’t really matter that much. Inflation has been similar, it’s been under 2% for quite a long time. So, for house prices to be tripling during that same period, the ratio of house-price-to-income, which the income determining what people can afford to buy, has gotten so stretched that it’s a bubble that cannot possibly be sustained. And unfortunately for many, many Canadians it’s going to be very harsh and painful when the bubble bursts. We recorded that interview back in the spring of 2016, so over a year ago, and I think Hilliard Macbeth’s warning that when the real estate bubble bursts it will be harsh and painful is now becoming more obvious to more people, so if you want a big picture view of where the real estate market is at in Canada, When the Bubble Bursts is a great starting point. That’s the big picture view; what if you just want to know how to pay off your own mortgage faster? The obvious book to buy to answer that question is Burn Your Mortgage by Sean Cooper, which is book #8 on my list of 10 books for your personal finance library. Sean Cooper was a guest back on show #81, after he became something of a media sensation when he lived frugally and paid off his mortgage in just over three years. He returned this year on Show #129 where he talked about his new book, and that show, as I record this one, is our most downloaded show of the year. Sean Cooper: Well, my book you don’t have to own a house to benefit from it, you might be a first-time home buyer or be a renter who wants to get into the market. So, basically in order to purchase a house you have to have all your finances in order. So, if you have a lot of credit card debt, it doesn’t make sense for you to go out and buy a house and take on a mortgage and more debt. So, it’s about getting your financial house in order. So, for example I talked about it in the beginning of the book setting a goal because for so many people what keeps them from being homeowners is they’re not able to come up with that down payment. So, basically by setting yourself a specific goal of how you’re going to come up with your down payment, I find that effective. So, basically say I want to buy a house in for example three years time and I’m going to save for example a $60,000 down payment and then figure out exactly how much from each paycheque you need to save to reach that down payment. Because $60,000 on itself seems like a massive amount of money but kind of breaking it down into smaller amounts it makes it seem less intimidating. Doug Hoyes: So, really the first part of the book you’re laying the ground work for basic financial principles, anyone can use. You don’t have to be a homeowner; you don’t even have to want to buy a home I guess. These are principles that will work for anyone who wants to get their financial life in order. Sean Cooper: Exactly. Everyone will benefit from reading the first part of the book. Doug Hoyes: So then the second part of the book, which I would summarize as being home buying and mortgages, obviously this is a section much more geared towards people who want to buy a house and obviously you’re going to need a mortgage to do it. So, what are the kind of areas that get covered in the part two, home buying and mortgages section? Sean Cooper: Well, I kind of walk people through the whole situation of purchasing a house and things to look at. So, for example some people have to make big decisions like living in the, in urban area or suburban. And then of course you have to decide on property types, so, condo, townhouse or detached house, so, I kind of look at the pros and cons of that and I go through the list of needs and wants when you’re a homebuyer. Because I find a lot of people nowadays are getting needs and wants mixed up. For example things like granite countertops, stainless steel appliances, people seem to be putting that on the needs list rather than the wants list. So, it’s kind of taking a big picture approach to buying a house and seeing exactly if you want those things how much money it’s going to cost you. But it’s going to be a trade off because it’s going to take you that much longer to pay off your mortgage so it’s just kind of taking a big picture overview of your finances. That’s Sean Cooper, talking about his book Burn Your Mortgage. When it comes to personal finance, once you’ve dealt with the basic topics like budgeting, saving money and money management, and then figured out what to do about real estate, the next logical topic is retirement. Again, there are lots of great retirement books, and many of them explain the mechanics of how much you need to save for retirement, but the retirement themed book I’ve got on my list is Victory Lap Retirement by Jonathan Chevreau and Mike Drak, which has an interesting take on preparing for retirement. In fact, they actually present an alternative form of retirement, which is quite interesting. The traditional view of retirement is that you work for the same company until age 65, and then you retire, and live off your company pension. Of course that is not reality for most Canadians. Most of us don’t have a pension, and many of us will either retire well before age 65, or keep working past age 65. The concept behind a Victory Lap is that retirement does not need to be a “hard stop”, where one day you are working, and the next day you playing golf. Many of us will take a victory lap by easing into into retirement, working part time, or spending our time and perhaps earning some income by pursuing our hobbies or other interests. To actually take a Victory Lap some advance planning is required, and that’s why I think Victory Lap Retirement is a great book for anyone contemplating retirement. The final book on my list is totally different from all of the other books. In fact, it’s not a personal finance book at all, but it does help the reader understand how and why we make the decisions we make, financial and otherwise. The book is Thinking, Fast and Slow by Daniel Kahneman. Dr. Kahneman is a professor at Princeton University, and he is the only non-economist to have won the Nobel Prize in Economics, which he won in 2002 for his work on decision making. This is an academic book, so it’s not an easy read like The Wealthy Barber Returns or Wealthing Like Rabbits, but if you stick with it, it will challenge the way you think. He talks about how we humans make decisions, and while he did not invent the concept, he uses the notion of System 1 and System 2 decisions to show that while we think we make rational decisions, it is really our System 1 “gut” that is responsible for most of our decisions. I obviously agree with his points, and my book, Straight Talk on Your Money, reaches the same conclusion, that we humans make most of our decisions based on emotion, not rational thinking, so if you want a book that will make you think, Thinking, Fast and Slow is a great read. If you’ve got other ideas, feel free to tag me in a tweet @doughoyes and I’ll share them out. So there you go, your holiday shopping is done, head to your local bookstore for these great books. And, while you are there, pick up Straight Talk on Your Money; it’s the newest of all of the books I’ve mentioned, so there’s a good chance your gift recipient hasn’t read it yet, so that alone makes it a good choice. If I had to categorize Straight Talk on Your Money, it is a general money management book, because I deal with 22 myths that get people into financial trouble, and I end every one of those 22 chapters with practical advice. But it’s also similar to Daniel Kahneman’s book in that I also spend time exploring how and why we make the decisions we do. Obviously I don’t have a PhD, and there is no chance I’ll be winning a Nobel Prize anytime soon, but what I do have is my notes from the in person consultations I’ve done with well over 10,000 Canadians in financial trouble over the last two decades, and I think that real life experience gives my book a somewhat unique perspective. It’s also easy to read, widely available in book stores and on-line, there is a Kindle and Kobo ebook version, and there is also an Audiobook version available on Audible and Apple iTunes, so if you like listening to me on this podcast, you can hear me read the entire book. So there you go, 10 books to help you start your own personal finance library, or gift ideas for friends and family. And remember, the nice thing about paperback books is, if you are gentle, you can read them, and then give them away as gifts! And just think, by spending $100 for four or five books, you may save yourself and your friends and family thousands of dollars in the future, so it’s the gift that keeps on giving. That’s our special personal finance book edition of Debt Free in 30. Full show notes, including a transcript and a link to every book I’ve mentioned can be found at hoyes.com, that’s hoyes.com. Thanks for listening, happy holidays, until next week, I’m Doug Hoyes, that was Debt Free in 30. Good Debt Vs Bad Debt. Personal Finance Experts Weigh In.